Award-winning author Sarah Beth Durst has been praised for her captivating novels that merge the darkly imagined with very real themes of self-discovery and destiny. 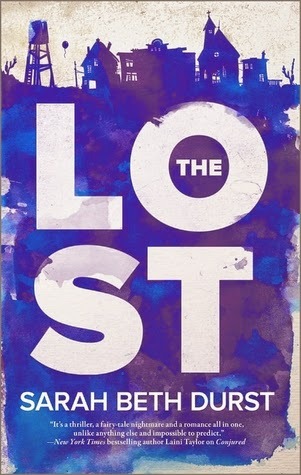 In The Lost, we'll discover just what it means to lose one's way…. It was only meant to be a brief detour. But then Lauren finds herself trapped in a town called Lost on the edge of a desert, filled with things abandoned, broken and thrown away. And when she tries to escape, impassible dust storms and something unexplainable lead her back to Lost again and again. The residents she meets there tell her she's going to have to figure out just what she's missing—and what she's running from—before she can leave. So now Lauren's on a new search for a purpose and a destiny. And maybe, just maybe, she'll be found…. Against the backdrop of this desolate and mystical town, Sarah Beth Durst writes an arresting, fantastical novel of one woman's impossible journey…and her quest to find her fate. 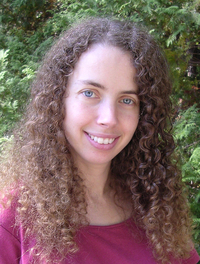 SARAH BETH DURST is the author of the young adult novels Vessel, Drink Slay Love, Enchanted Ivy, and Ice, as well as the middle grade novels Into the Wild and Out of the Wild. She has been a finalist for SFWA's Andre Norton Award three times, for Vessel, Ice, and Into the Wild. Sarah lives with her husband and children in Stony Brook, New York. Visit her at SarahBethDurst.com. I can summon dolphins with the power of my voice. Okay, that's not true. The dolphins flock to me of their own volition. No, seriously, I don't have a secret talent. I wish I did. But the fact is that I don't even know how to whistle. "Little Talks" by Of Monsters and Men. I have no clue what the song is about, and the lyrics have nothing to do with CONJURED. But the manic feel to the song, the hint of longing, the carnival-like instruments... it reminds me of Eve's life. The visions. In CONJURED, Eve has no memories but lots of bizarre powers. Every time she uses her power, she blacks out and experiences terrifying visions. The visions were so much fun to write. Definitely some of the creepiest sentences ever to crawl out of my fingertips. One real: my evil cat, Perni. She hates everyone except me (on occasion and only if I do NOT try to pet her belly). I once tried to have an imaginary pet griffin, but Perni ate him. What is the first book you remember reading by yourself as a child? I don’t know if this was the first book, but I remember pouring over THE GIANT GOLDEN BOOK OF ELVES AND FAIRIES by Jane Werner and Garth Williams. It was recently brought back into print, and turning the pages transported me to being the fantasy-obsessed kid who checked under her bed every night for spare dragons and behind rocks for slumbering elves. I’m reading THE UNNATURALISTS by Tiffany Trent, and I’m loving it. The procedure for removing a breathing tube. Also, bandicoot. Chalk. I can’t stand the feel of chalk. Also, accidentally biting an ice cube. But more seriously, I cringe whenever anyone talks dismissively about a book they’re reading and enjoying. If you love it, then it’s a good book! It doesn’t matter if it’s taught in AP English class or not. If it transports you, if it touches your heart, if it makes you laugh or makes you cry, then it has value. Don’t be ashamed to love the books you love! Winning Entry will be verified prior to prize being awarded. My purse was the last thing I lost. Thankfully, it was exactly where I left it. On the back of a chair at Subway! My car keys, but thankfully I found them after a lot of searching. I lose my debit card more often then I would like to admit. A ring that belonged to my grandmother that was extremely important to me. My cell phone, but thankfully it was returned to customer service at the grocery store. Thank goodness for honest people! The last thing I lost was a pretty bracelet. Thanks for having the giveaway. My memory card reader! I need to find it soon! I lost a tiny butterfly clip, one of several in rotation for pinning my bangs out of my eyes.